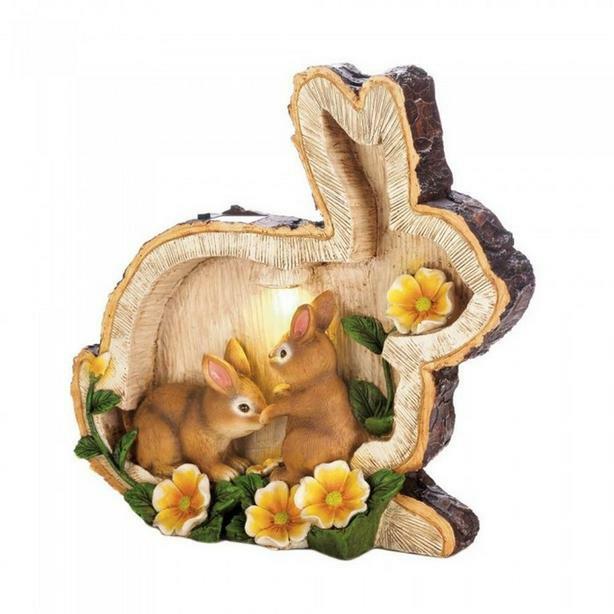 two sweet little bunnies tucked safely away in a flowery silhouette with a spotlight shining down is 10.5" x 3" x 10.2" tall & weighs 1.7 lbs. 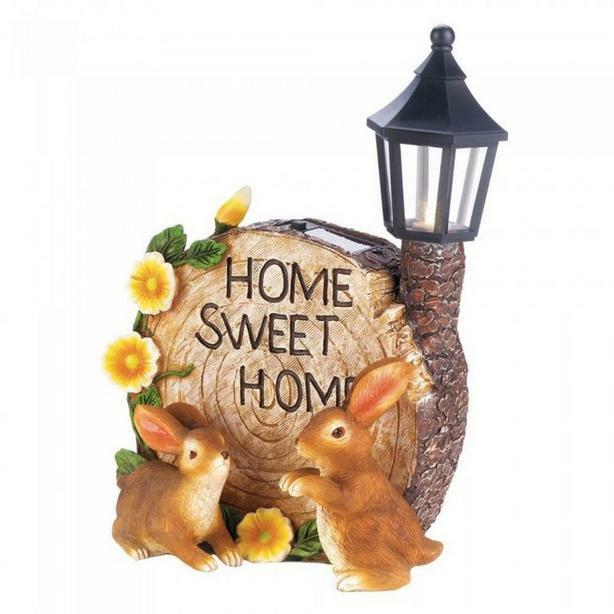 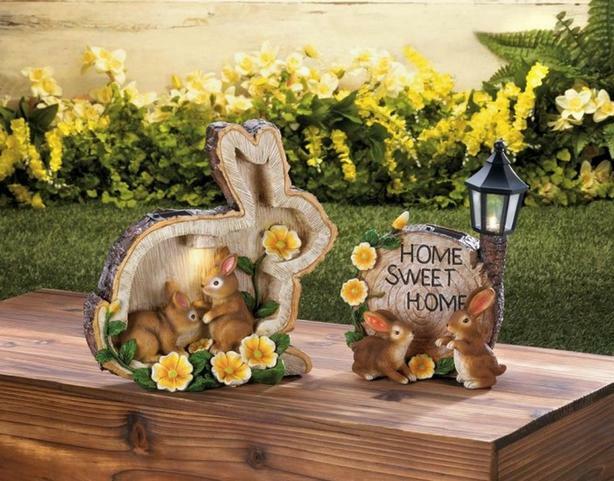 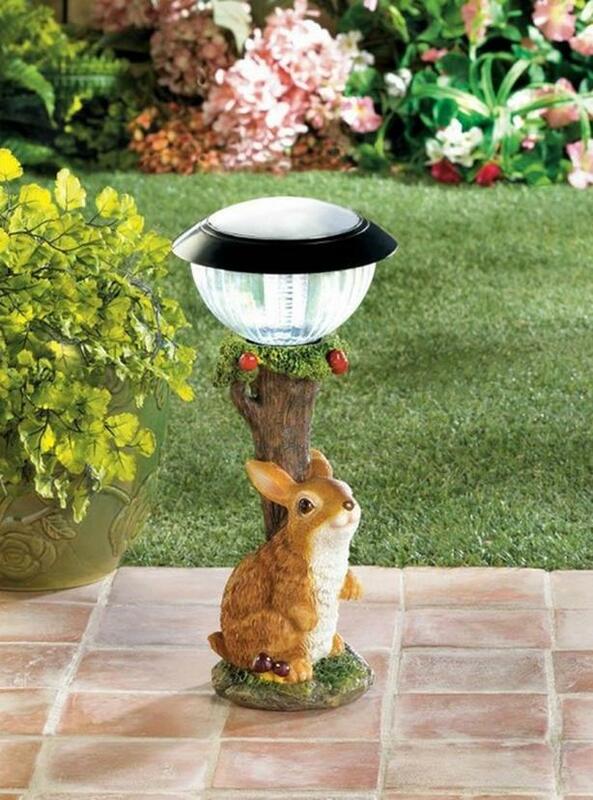 "home sweet home" bunnies with classic lantern is 7" x 4.25" x 9.75" tall & weighs 1.4 lbs. 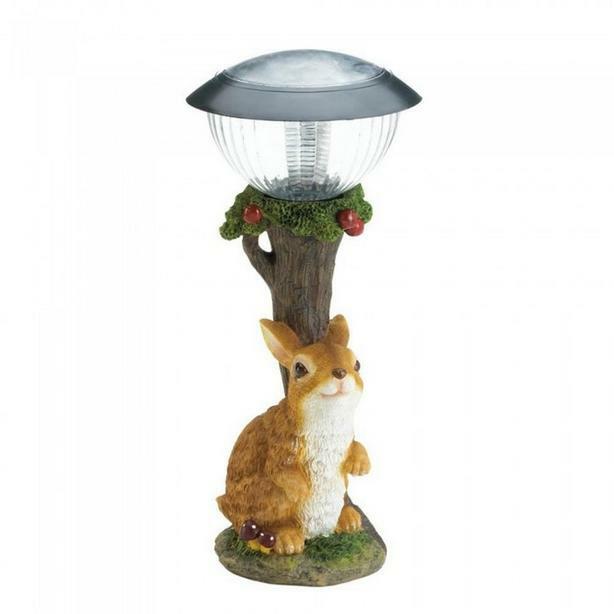 brown bunny rabbit sitting beneath an apple tree with a solar-powered lantern on top is 6.75" x 6.75" x 13.8" tall & weighs 1.6 lbs.